Step Up 4 Kids is a family fun event marking the end of a month long awareness campaign during National Child Abuse Prevention Month. 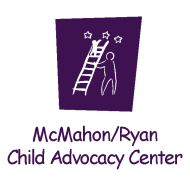 The community is invited to participate and support McMahon/Ryan Child Advocacy Center as it works to end child abuse in Onondaga County. Following the Kids’ Fun Run there will be a designated area for children’s games, activities, music and snacks.